SF State is one of 24 schools participating in the Howard Hughes Medical Institute Inclusive Excellence initiative focused on increasing diversity in the sciences. The lack of representation of minority students in the sciences nationwide has been well documented. One-third of all college freshmen who plan to study science, technology, engineering and math (STEM) are underrepresented minorities, according to the National Center for Education Statistics, but only one-sixth of those students actually graduate with degrees in STEM. San Francisco State University’s Department of Biology hopes to chip away at this long-standing inequity with a five-year, $1 million grant from the Howard Hughes Medical Institute (HHMI), the largest private funder of science education. Out of 500 applicants, SF State was one of 24 other universities chosen to participate in the HHMI Inclusive Excellence initiative, which is designed to engage all students to be successful in science, especially underrepresented minorities and non-traditional students. SF State data shows that 35 percent of freshman biology majors actually graduate with a degree in biology in six years or less. That percentage is significantly lower for African American, Latino, Native American, Pacific Islander and Filipino students. While most universities have high failure rates among students in introductory chemistry and biology courses, SF State has an 80 percent success rate. Given these two points, SF State faculty are targeting biology classes at the junior and senior level as the place where minority students leave the major, according to the HHMI proposal. 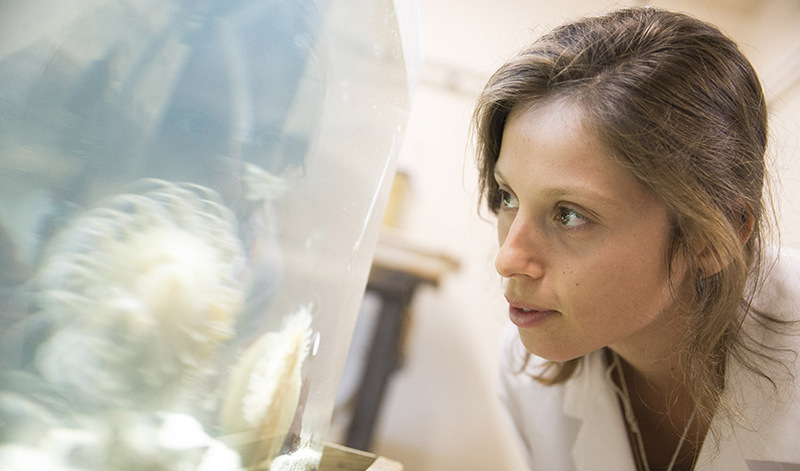 SF State Professor of Biology Kimberly Tanner is overseeing the HHMI grant, in strong collaboration with the majority of SF State’s almost 60 biology instructors. Tanner is also the director of the University’s Science Education Partnership and Assessment Laboratory (SEPAL), and this new award builds on prior HHMI funding support for faculty efforts in innovative teaching. Tanner and her biology colleagues Blake Riggs, Laura Burrus and Carmen Domingo have developed a multi-pronged approach to retain underrepresented students in the major by focusing on teaching and coursework. The main features of the grant are faculty partnerships with underrepresented advanced biology majors to serve as peer mentors in classrooms and to develop culturally relevant curriculum. Students working with faculty will receive credit for their efforts through a four-unit service-learning biology course. Post-doctoral research scholars will work with faculty-student teams and collect data to gauge the effectiveness of the programs. That’s only one example of putting biology into a culturally relevant context, Tanner added, and the partnership between faculty and students is designed to expand those examples and tease out what’s most meaningful to students. “If we love science and we want to understand complex problems, we have to engage people who think about the world in different ways,” she said.